Detectable Materials products are designed to address the problem of plastic and rubber particles contaminating food and pharmaceutical production lines. As standard rubbers and plastics are radio-translucent, non-conductive, and low in density, these materials cannot be detected by standard Metal and X-ray detection systems. Detectable materials are manufactured from special polymers that contain evenly dispersed additives which elevate densities and enhance magnetic properties. 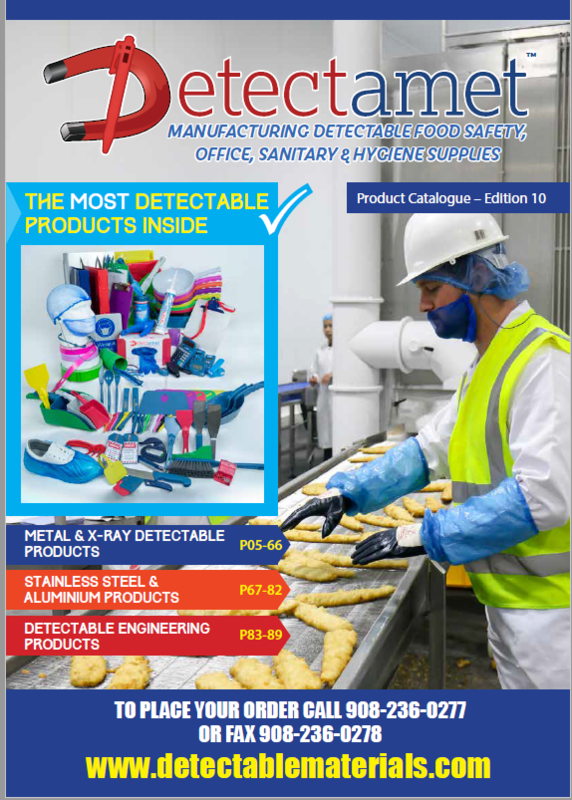 These new detectable product lines are intended to offer peace of mind to quality control and food safety managers while offering aid in preventing costly product recalls. Our Detectable Materials should be used as part of your HACCP process.